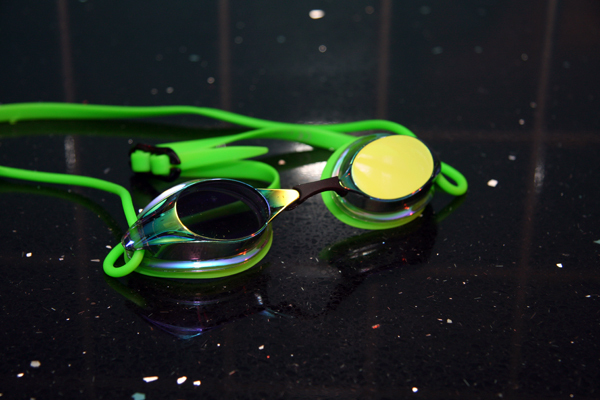 Goggles are an intensely personal thing; what one swimmer loves another will hate. What fits perfectly on the face of one person will leak like a sieve on another. So when you find a pair that works you tend to stick with them through thick and thin, stockpiling spare pairs and just keeping replacing as they wear out. 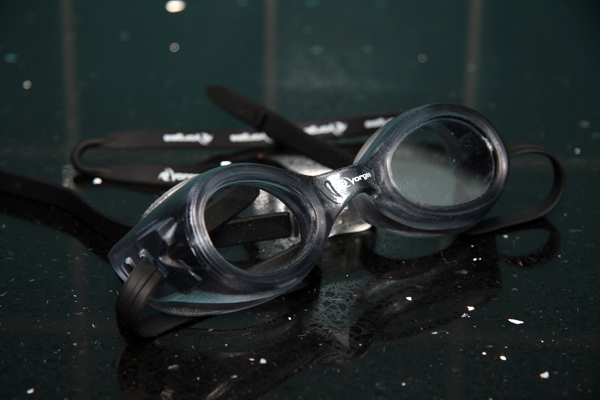 I was certainly like that – for me the Speedo Aquablade goggles were the perfect fit for training and racing so I wore them for 10 years or more. But then Speedo stopped making them so the process of finding a replacement started again. 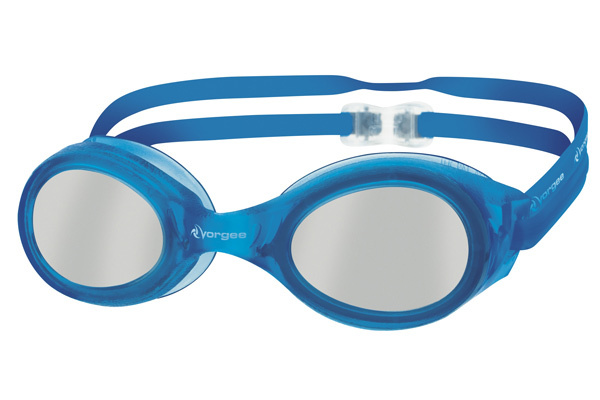 Enter Vorgee – a relatively new name on the British swimming scene – with their range of goggles and in particular their Extreme Missile and Voyager models. Could they fill the Aquablade shaped hole in my life? Several thousand metres later, here’s the verdict. 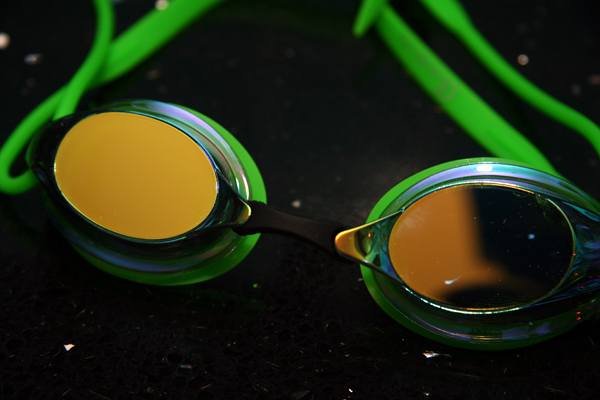 Aimed at the competitive swimmer, and specifically at racing, the missile is in the mould of Speedo’s Speedsocket or Vanquisher or Arena’s Tracks goggle. Indeed put the Arena and Vorgee side by side and you’d be hard pressed to tell the difference. What that means though is that it’s a good looking pair of goggles with a low profile and some neat features. They aren’t cheap, retailing at more than the Arena equivalent, at a similar price point to the Vanquisher, but they feel like they will last. After years of carefully tying bits of string between eye cups and melting the ends of the cord with a lighter, simply snapping off a nosepiece and replacing with another one was simplicty itself. The goggles came with 4 nosepieces so the adjustment is more limited than with Swedish style goggles, but even with my wide nose (the legacy of one too many rugby related broken noses) they fitted well enough with the largest bridge piece; a larger option would have been appreciated though. Much like its Arena contemporary the strap is cylindrical where it passes through the goggles and changes to flat at the back. This makes it sit close to your head at the end of the goggles without any bunching of the strap and then flat to the back of your hat. 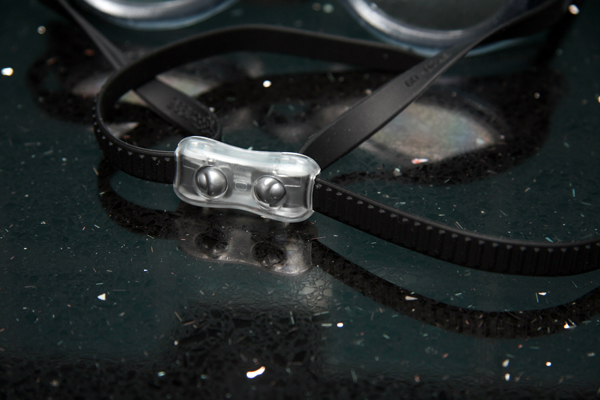 Adjustment easy is via a flat buckle which sits high on the back of your head – again a bonus after years of adjusting knots in silicon straps. I didn’t need to wear them very tight to keep water out, albeit I might have tightened them up a bit for racing starts, and the soft rims meant they were very comfortable. Visibility was good for such a low profile and even in the mirrored version I tried they weren’t too dark for indoor swimming. Despite being aimed at racing, I found they would be fine for training and I could cover a couple of km easily without any panda eyes. The anti-fog was also remarkably effective, although like all goggles this is likely to deteriorate with use. Straps are good, but might be expensive if they need to be replaced. At the other end of the spectrum came the Voyager. 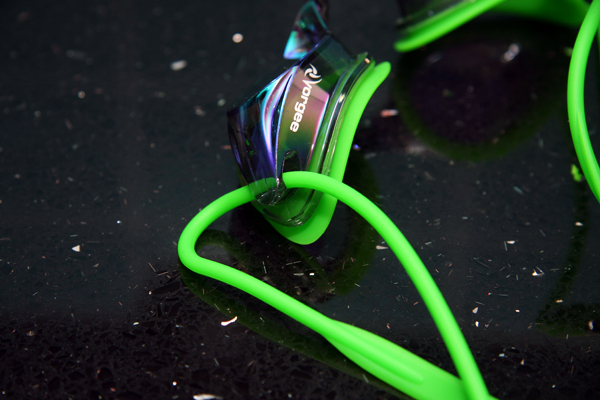 With much more of a fitness aim, the goggles are designed with comfort and not hydrodynamics in mind. That means a one piece silicon goggle which is quite bulky, but still quite good looking. Comparable models might be those from Aquasphere or Speedo‘s Futura range. As with the Missile, they retail at a slightly higher price point than the Speedo equivalent, but are cheaper than their Aquasphere contemporaries. They do seem to be a higher quality product than the Speedos however. I’ve never been a fan of one piece goggles, preferring to be able to adjust the bridge (see previous comments about nose breaks) and my mind hasn’t been changed by these goggles. That said unlike many I’ve tried before they did seal to my face quite well and were watertight, the soft silicon eye cups and very flexible nosepiece helping, but I did have to have them quite tight to get that seal and was left with the tell-tale rings around my eyes as a consequence. However adjustment was the simplest I’ve come across in a goggle with spring loaded catches on the strap buckle and a toothed strap. 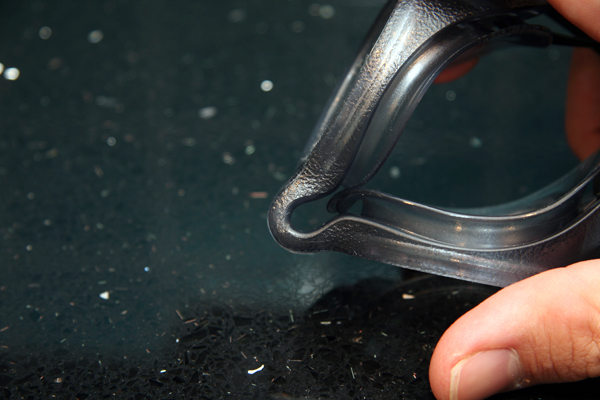 The other loop of strap has a flattened section which marks the centre point, making it easy to get properly set up. Visibility was excellent, especially in the clear lenses and light grey frame I tried, and the anti-fog was again very effective. However, for me, the size meant they felt quite uncomfortable pushing off the wall after a turn, and it felt continually like they were about to flip up and leak. That said, I can see these being popular with triathletes and open water swimmers, where the hydrodynamics are less critical, and the added visibility would be a huge benefit. The notched strap is good, but as with the Missile might be expensive if it needs to be replaced. Overall both pairs seemed to be high quality and well made. 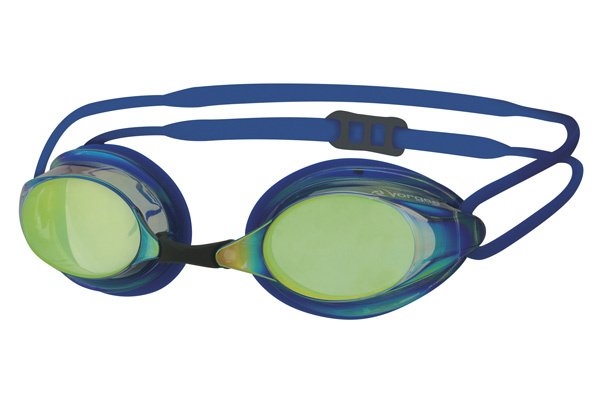 Certainly the Missile is now top of my list for a racing goggle that can be used for training as well, while those less concerned with starts and turns would be wise to look at the Voyager. As I said at the top, goggles are intensely personal, but you could do a lot worse than check out Vorgee if you’re looking for a change. Previous PostWADA, Or CIA?Next PostPast Their Sell By Date?